I have been making my own totes for a couple of years now, but sometimes I like to try other patterns to see if there are things I like better about how they do it. 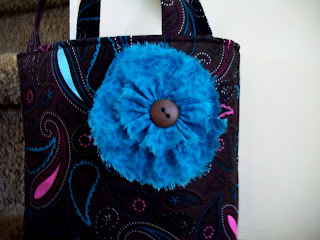 I saw the tutorial for these 'Lil girl Springtime Totes over on Just Another Hang Up. 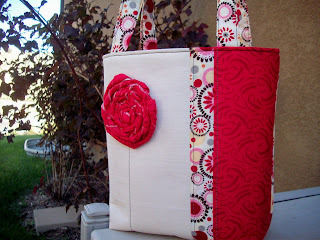 Suzanne's bags are beautiful and I absolutely love the pieced front and the darling flower. I have never used fusible fleece either so I thought I'd give it a go. These little ladies are the result. The brown fabric was already cut and one side was only 10", so I just cut it down to 10" X 11" and made the front and back the same. This one I made using two fat quarters (they were on sale at Joann's the other day for $1 each!). I didn't have the materials to make the flowers like Suzanne did, so I made some other ones instead. This one is just a rolled fabric flower. The blue one is a ripped, and gathered three layer flower. 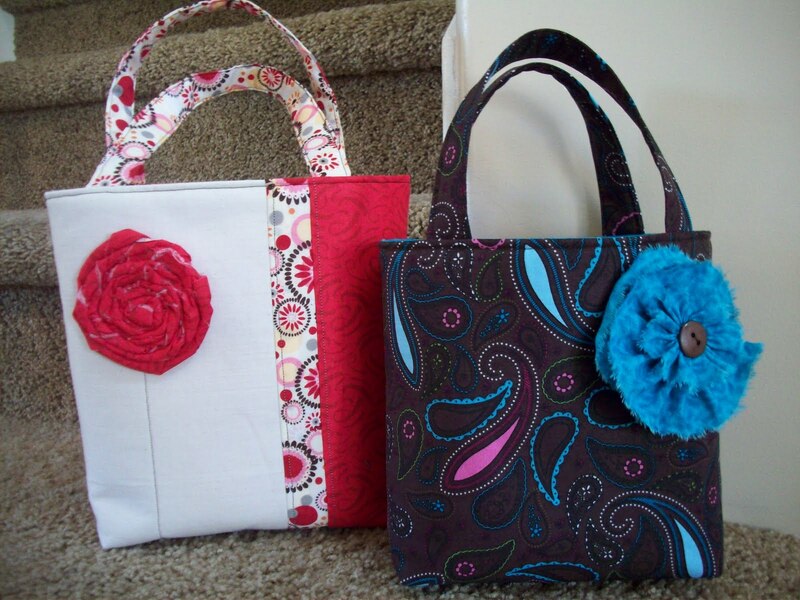 These are going to make some great gifts, and I will definitely be using fusible fleece again! I love how much body it gives to the bags without making it stiff. Thanks for a wonderful tutorial Suzanne! These are really cute, Amy! I love the trim fabric on the red tote bag. I've never used fusible fleece, either. You've inspired me to give it a try. Thank you so, so much for giving me a heads up about your beautiful totes! 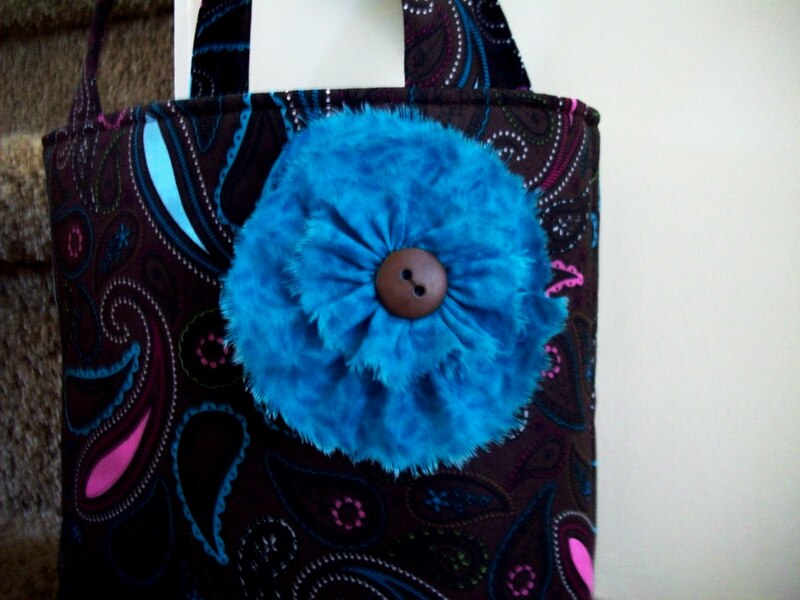 Isn't fusible fleece wonderful? I love how it gives the bags so much body! Your bags are beautiful. I absolutely LOVE your touch with the different flowers and your fabric selection is fabulous. I truly appreciate giving me a shout out and I'm glad you found the tutorial helpful! Beautiful projects!